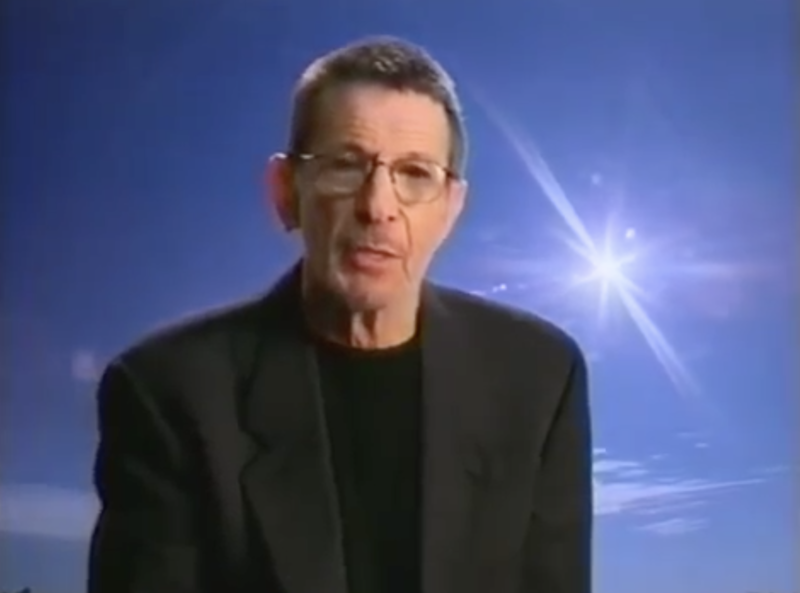 Leonard Nimoy lends his credibility to this alarmist video produced to aid those concerned with the potential societal collapse caused by the world’s computers’ refusal to acknowledge the year 2000. 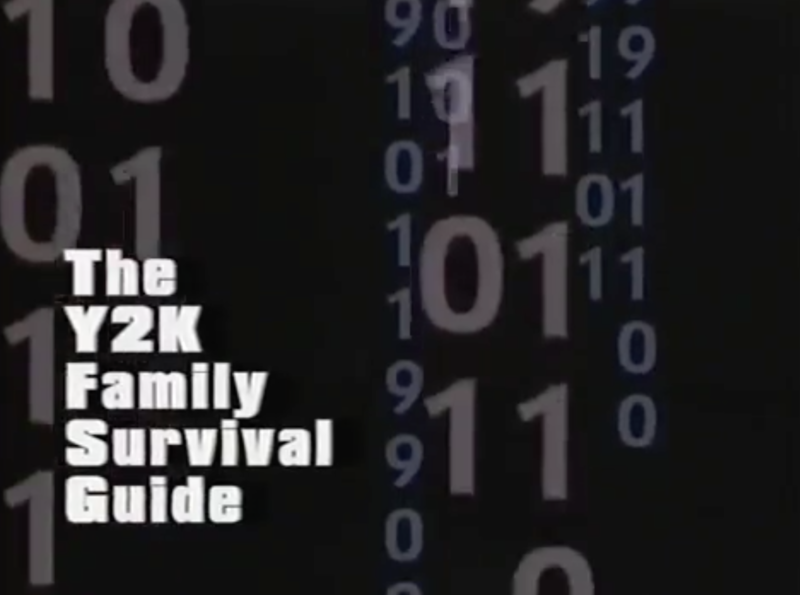 This video is one of several attempts to cash in on the hysteria around the Y2K phenomenon. 1999 was the perfect breeding ground for such a scam – nobody could say for sure that the Y2K alarmists were wrong, and nobody wanted to look like a fool. 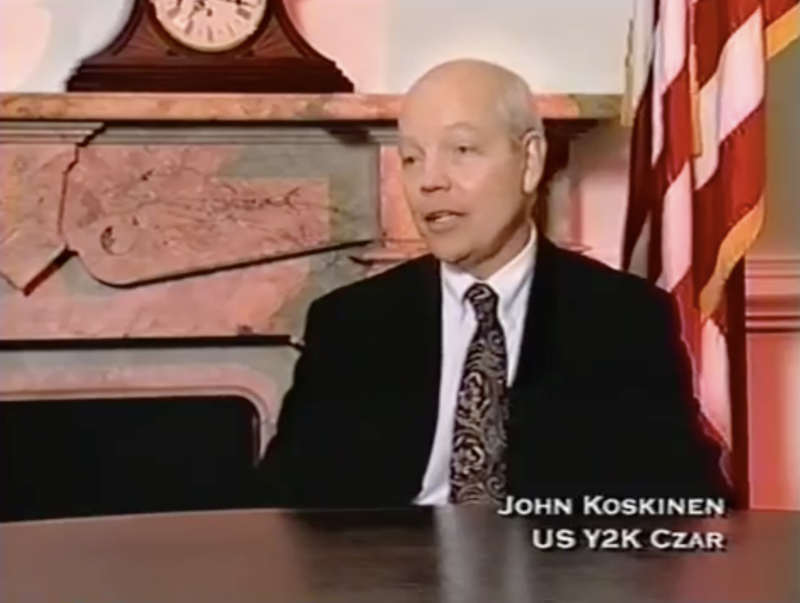 The President even appointed a Y2K Czar! 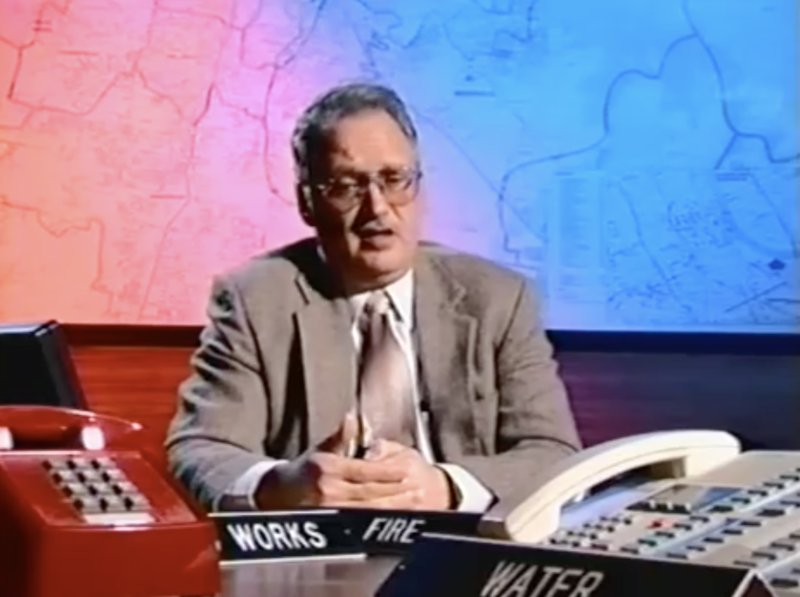 And the Y2K Czar appeared in this video! What an honor! While the content of the video is assuredly alarmist, and we’re reminded throughout that many people are probably going to die, the tone never rises above a typical infomercial level. It’s not a frantic or panicked video, which makes it play pretty creepily. It’s sort of an impressive effort that this video is an hour long – it’s really about 4 minutes of information repeated over and over again in different ways. When the video feels like it needs a break from that, there are instances of what seems to be free-form musing on specific catastrophes that could occur. There’s a lot of specific advice, too. Helpful nuggets, like “Don’t buy a machine gun and run to the woods.” We’re also encouraged to “enjoy the family time” when our systems fail us. 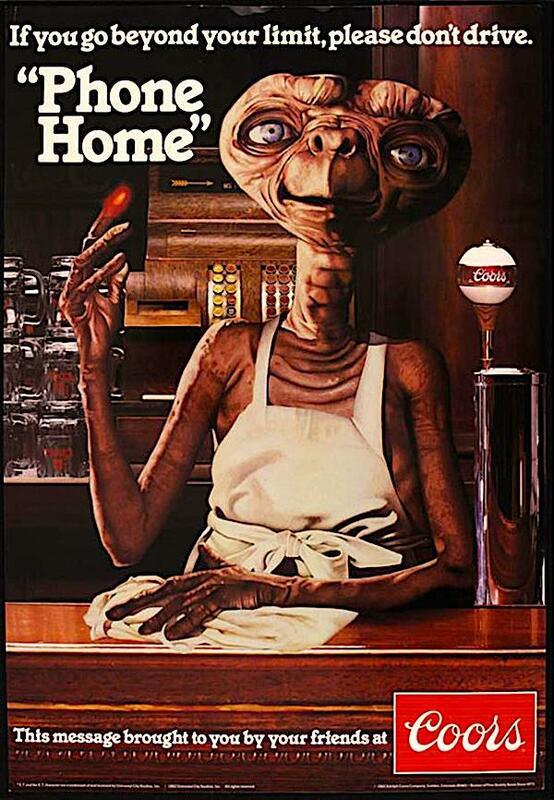 I can only imagine the satisfaction that those who paid actual money for this VHS tape must feel. The video takes on a very nuclear-scare-era tone when advising preparedness: store fresh water all over your house, in any dark place, toilet safety in a world without plumbing, stock up on baby wipes to bathe with. From here, it’s essentially a survivalist video – which makes for a good thirty minutes more content. While the video stresses the importance of community, there’s an underlying addition of “but make sure you get yours first”, which is pretty ugly once you notice it. Here it is. Alarmist and cheesy, and a little bit alarming that so much time was spent on this. And that it probably made money. There’s so much to love about this commercial for Mega Man 2 – from the newscaster Mario to the overacting live-action Mega Man to the shrouded, overacting Dr. Wily. Perfection. Amazing idea, amazing painting, amazing font. Amazing. A patio? The Enchirito? Gas Rationing? 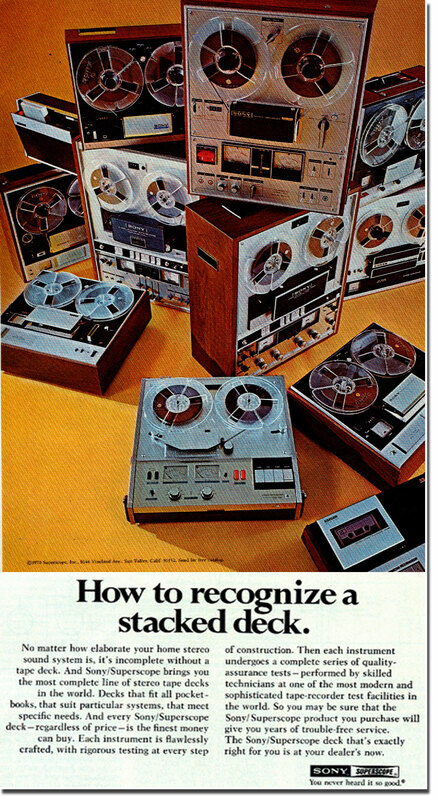 Don’t make the oversight of building an elaborate stereo system and skipping out on the tape deck, guys. Rookie mistake.